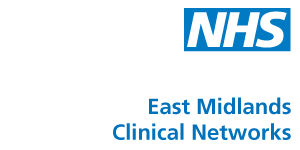 East Midlands Clinical Networks work to enable and facilitate whole system improvements and patient outcomes, supporting, influencing and working alongside commissioners and other stakeholders. Download the annual report and business plan. Find out more about the East Midlands Clinical Networks at www.emsenatescn.nhs.uk. Roz has 20 years of management experience working with the NHS, including learning disability, mental health and acute providers. She’s held regulatory, advisory and commissioning roles, plus programme managed regional clinical and sustainability reviews including for stroke and heart attack services. Margaret is a consultant perinatal psychiatrist. She developed and led the Nottinghamshire perinatal mental health service – regional mother and baby unit, maternity liaison and specialised community team – until 2008. Margaret leads the national clinical reference group for perinatal mental health (NHS England), developing commissioning specifications and quality standards for perinatal services and participation in national strategic planning and development. Richard is a consultant old age psychiatrist working in the Leicestershire Partnership NHS Trust (LPT). Since 2004 he has held a substantive NHS consultant post in LPT and retains an honorary senior lecturer appointment with the University of Leicester. Since 2011, he has had a central role in developing old age liaison services in the University Hospitals of Leicester NHS Trust.